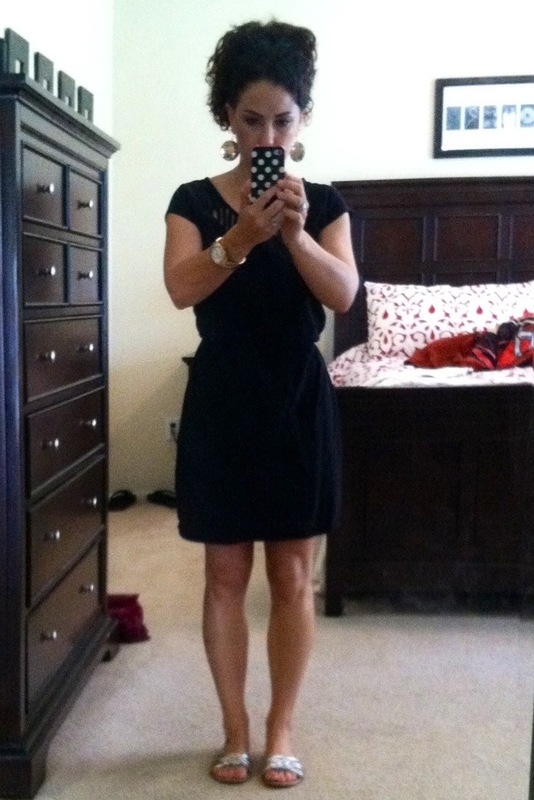 Black cotton dress with gathered waist and cutouts along neckline $15 at the Gap Outlet last summer. 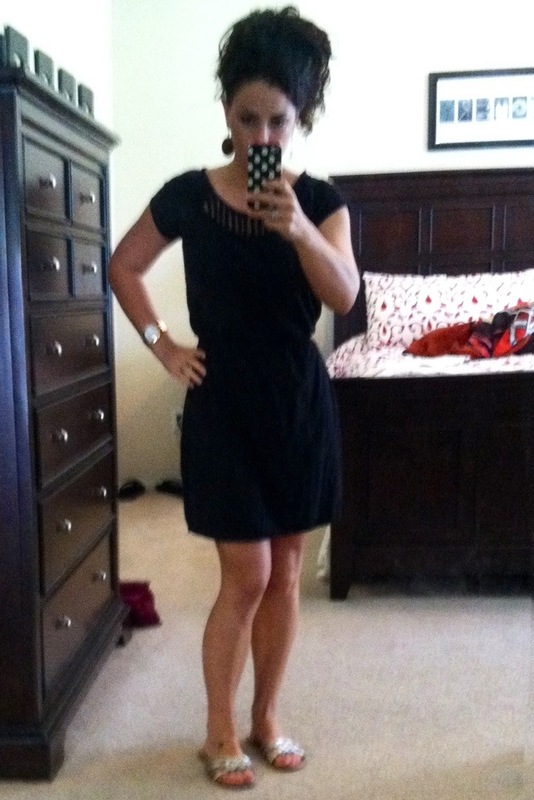 I love this dress, I know I say that about almost everything I wear, but I tend to like/love my clothes. Don’t buy or wear things you don’t like and/or that don’t make you feel good. I think this dress is fun and perfect for spring and summer. I have dressed it up a bit by belting it and wearing heels. Mixed metal sandals $12 TJ Maxx, last seen here. These are cute and comfy sandals, perfect for running errands, chasing my son, and even wearing to work! I like the mix of silver, gold, and bronze on the shoes. They literally go with everything I have for spring and summer. I can’t think of a single outfit I couldn’t pair them with! 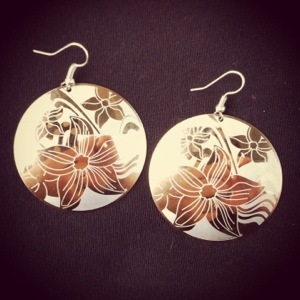 Mixed metal disc earrings with floral print $1 flea market find, bought last year. You would be amazed at what you can find at a flea market. When school is out in June I will have a post about my flea market, I can’t go during the school year because it is on Tuesdays and Wednesday’s while I am teaching.